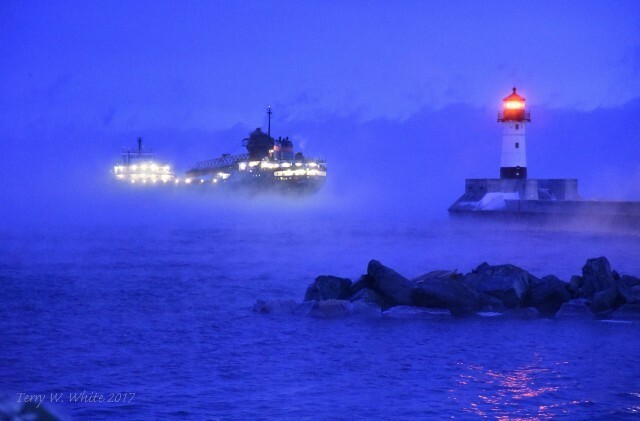 M/V Herbert C. Jackson has always been in the Interlake fleet. 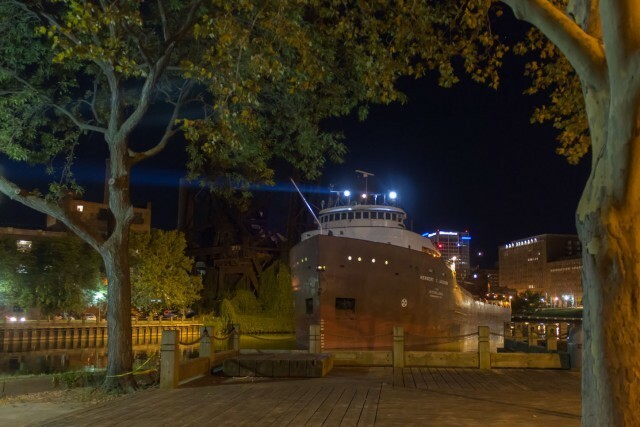 She was built in 1959 by Great Lakes Engineering Works at River Rouge, Michigan. 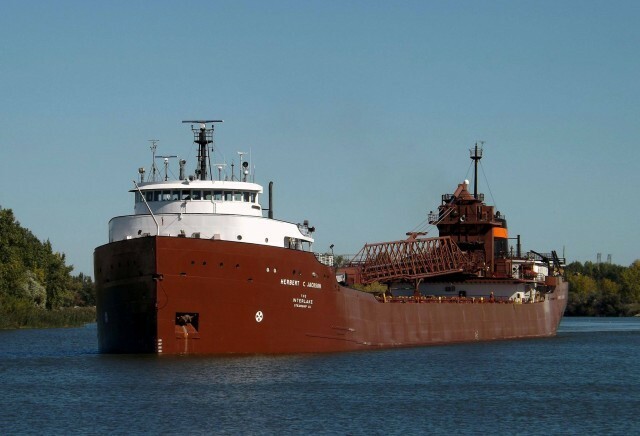 As part of Interlake’s continuing modernization program, the Jackson was converted to a self-unloader in 1975 by Defoe Shipbuilding Company at Bay City, Michigan. The Jackson is named for the late Herbert Cooper Jackson, an executive vice president and director of Pickands Mather & Company, Interlake’s former parent organization. In Dec. 1970, she transported 57 12-foot Christmas trees destined for a national display in Washington, D.C. She transported the trees from Hoyt Lakes, Minnesota to Cleveland. 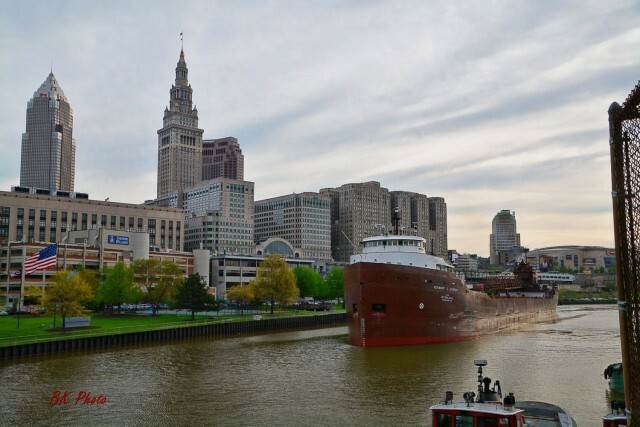 in 1998, she delivered a cargo to LTV Steel in Cleveland, making her one of the largest ships to transit to the Cuyahoga River. 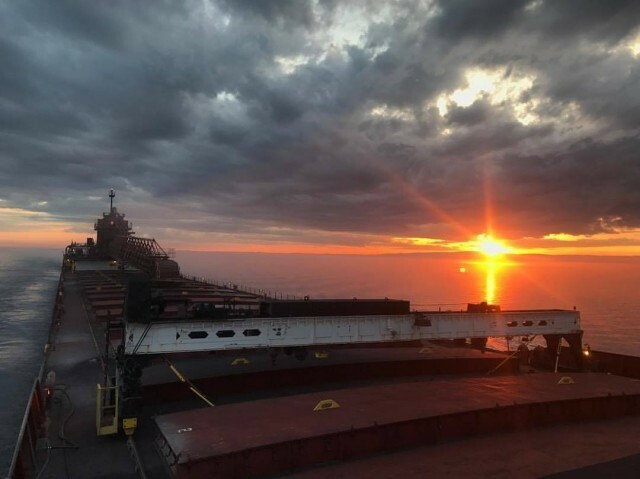 She still makes regular runs up the river with loads of iron ore.
She made the final coal delivery to Port Washington's WE Energies plant in 2004. The plant was converted to burn natural gas.